We start today’s post off with a visit to a few stores who sell a great range of crafted or designer goods. 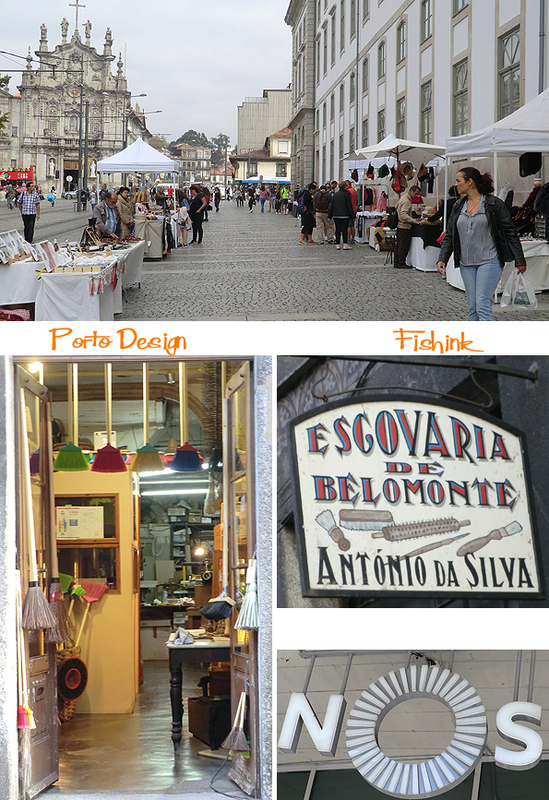 In the Rua da Fábrica we find ‘Mario de Almeida L’, which hosts different makers all with their own table of wares. Some new work here alongside the typical array of cockerels, swallows and sardines that appear to be everywhere. Nicely displayed in a free to browse environment. A few other local shops with upmarket product displays in a very natural, relaxed environment. 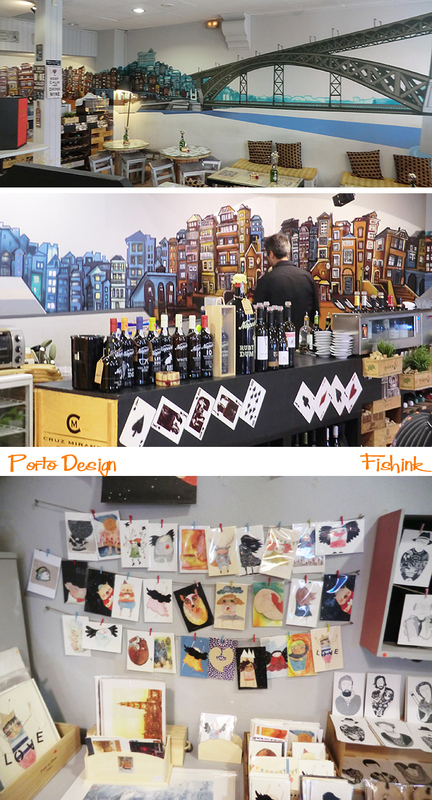 A wonderful mural in this wine / port / art bar. Any Mod or pearly king / queen would be proud to ride this Vespa. 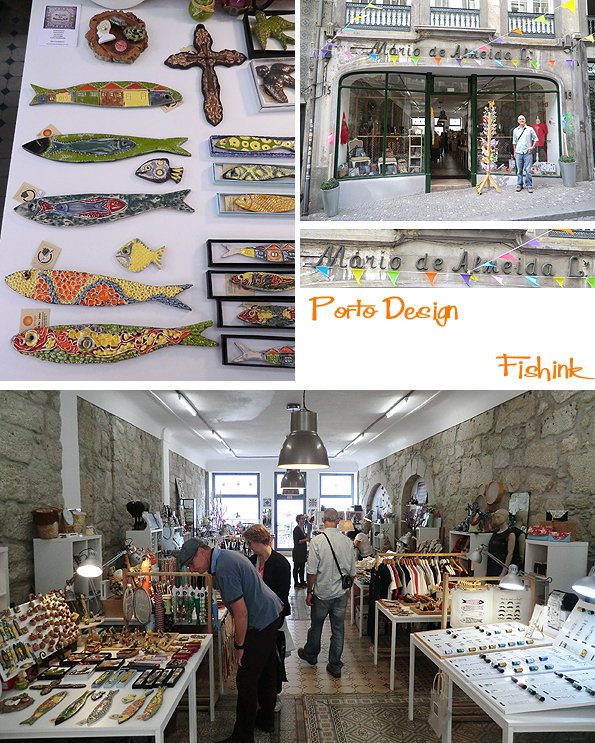 From craft markets to rustic old broom shops, it’s all in Porto. 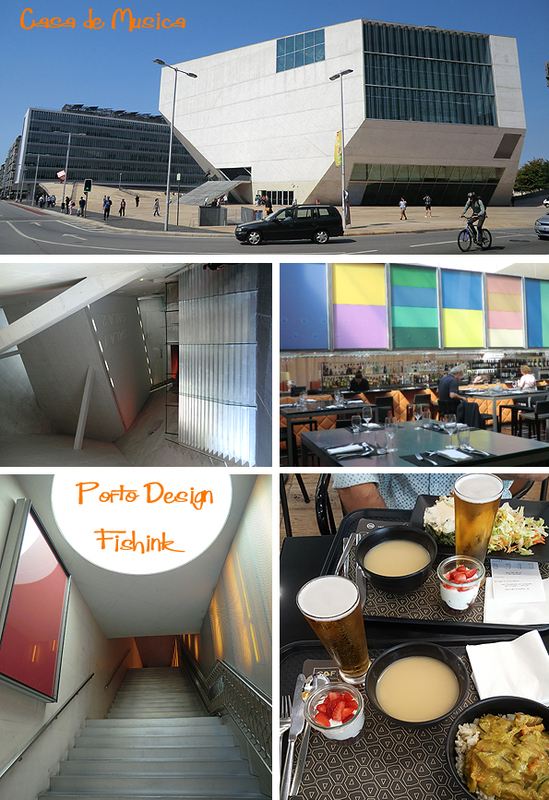 I wanted to take a walk around the Casa de Musica because I like to experience modern architectural spaces. I thought the cost of lunch here would be pretty high, but to my surprise and delight they had a great all in deal for a daily special of soup, curry and rice, desert and a beer for just 7 euros. Great food at a bargain price and a wonderful setting to eat in too. One of the studios on my list of ‘head to’ places was O! 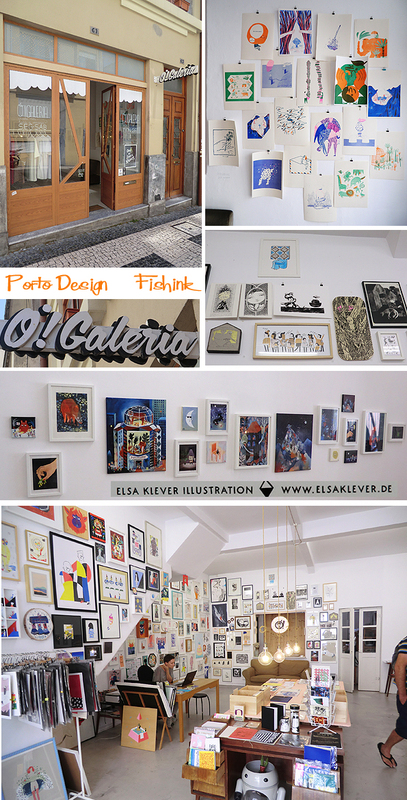 Galeria located in the Miguel Bombarda block, where the majority of small artistic businesses were. It’s a stunning collection of local aspiring illustrators and a great place to discover some fresh work to adorn your walls. 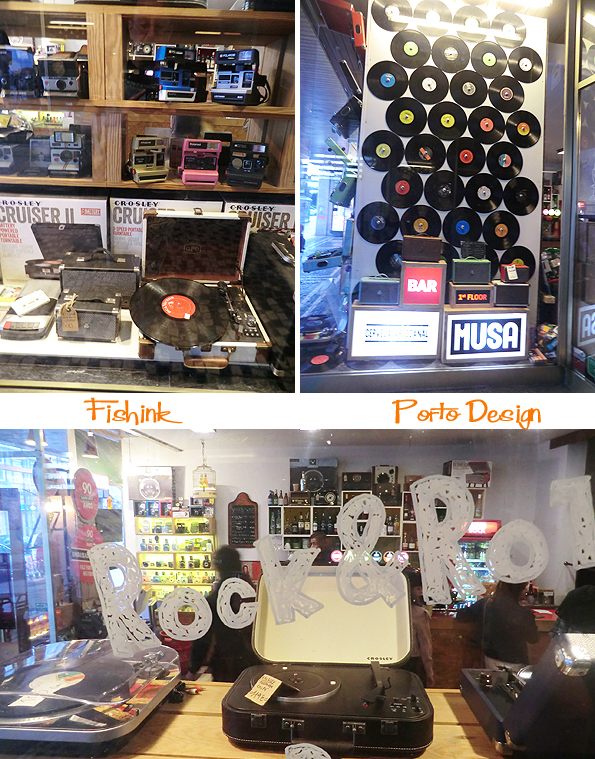 Patch concept store (Rua do Rosário 193) also got the thumbs up from me. Vintage clothing, new and retro ceramics and vintage toys and gifts from a bygone era. Trendy, re-loved we-love bric-a-brac if the term exists ! 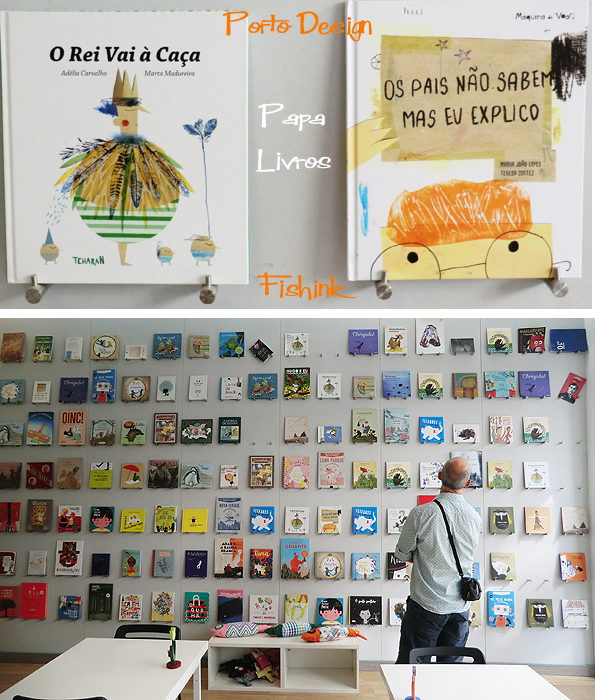 The best place to head to for a wonderful array of children’s books would be ‘Papa Livros’ (Rua de Miguel Bombarda. 523). Such a great collection of illustrated volumes (a few in English too) with prices ranging between 10 – 15 Euros. 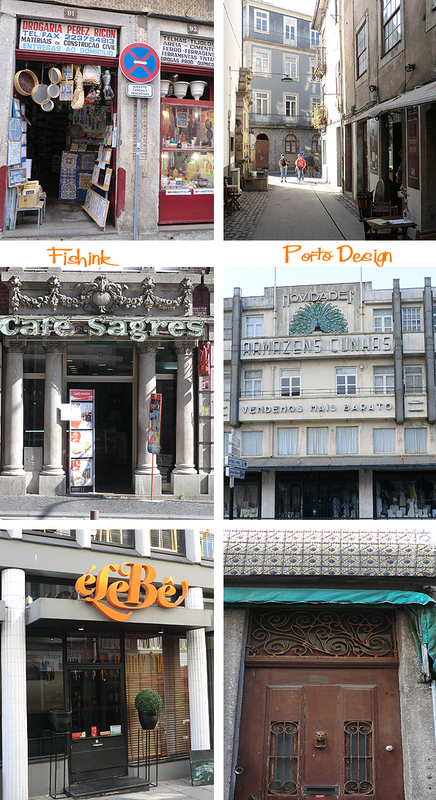 And I love the mix of old and new businesses here, just look at these store fronts and graphic fonts.. wowsa! How many art deco garages do you know of that are still in use and this clean ? Some beautiful stores with products stocked to the ceiling. 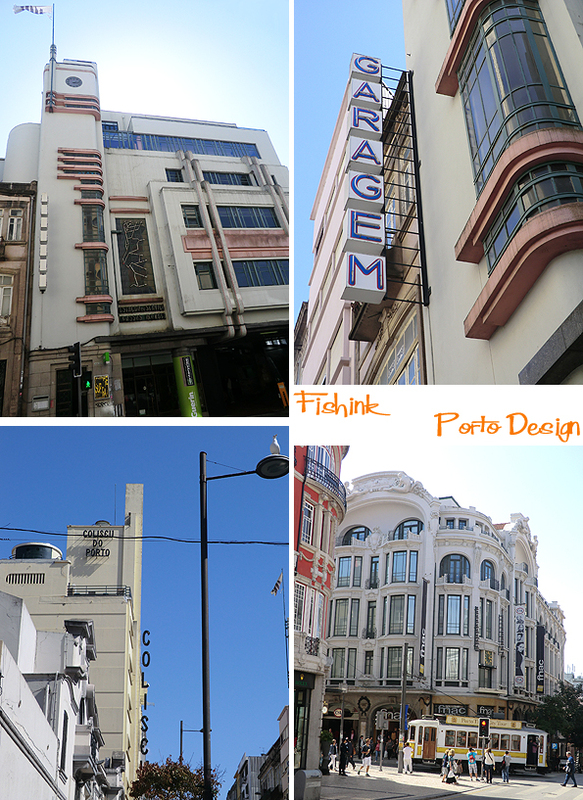 More to come on the design in Porto front next week in post 2. See you all then and please keep those comments coming too. Love the stuffed antlers and trophies – animal friendly and much nicer to look at!! Keep the pics coming Craig! Cheers me dear, must have a catch up soon . 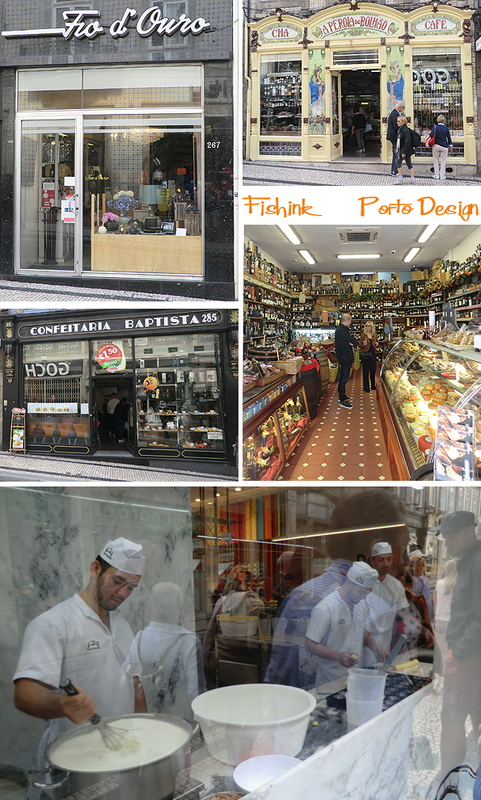 So much to see in Porto! 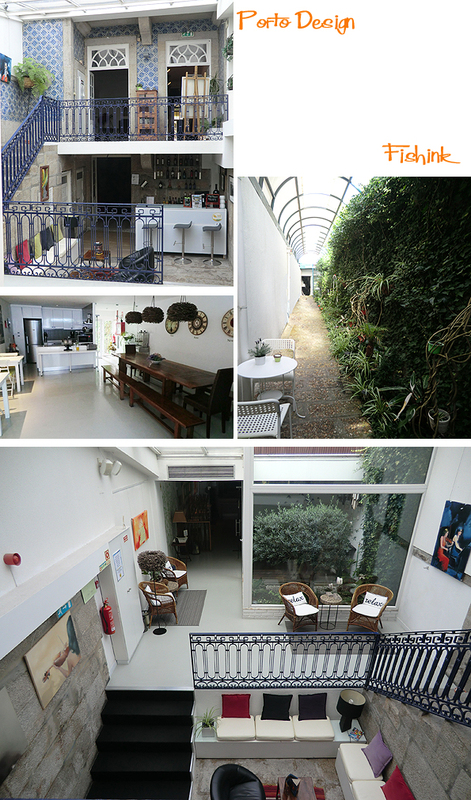 Love the green/growing wall at Gallery Hostel Porto, I’d find refuge there for my sensory-overloaded mind! The last photo… a bakery? Thanks Joy, yes gents baking in the window of a fancy cafe in Porto centre.